You know how people say you never really appreciate things until they're gone? Well, if you stroll up to the cosmetics counter, request another tube of your signature lipstick, and receive word that your shade has been discontinued, then you'll know exactly how that phrase feels. 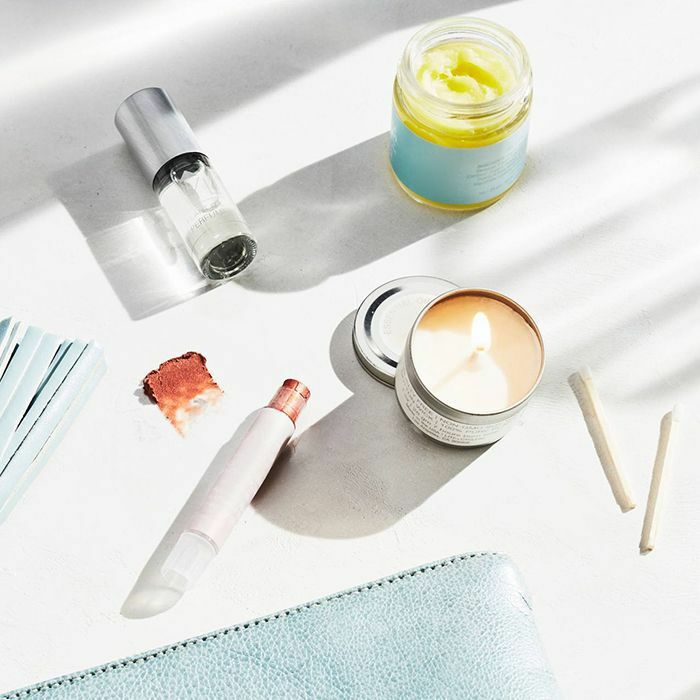 Discontinuations are a sad tale, especially when it comes to the beauty products that have become your signature—that particular shade of lipstick, your fail-safe foundation, or the cleanser your skin has come to crave. It happens all the time, and it could happen to you. If you do find out your longtime cosmetic confidant has been discontinued, don't sit back and take it. Be proactive! We've highlighted three strategies to find your favorite discontinued makeup products and restock your beauty arsenal. Keep reading to find out how to track down your long-lost beauty product BFF. Your first stop on the search for your beloved discontinued product? The internet. Scour the discount clearing houses and you may just find what you're looking for. Sites like BeautyEncounter.com, BuyMeBeauty.com, Overstock.com, and OverstockCosmetics.com often carry excess stock of products that have been discontinued recently. If you still come up empty-handed, try one of the big guys: eBay or Amazon. Just be mindful of expiration dates and product consistency. Don't buy anything if the formula looks lumpy or the liquid has separated. Ask your friends. Seriously. If you really are in love with the product, one of your girlfriends probably tried it herself. If you're lucky, she won't be as attached to it and will gladly hand over the coveted cosmetic. It also never hurts to make friends with your cosmetic counter sales associate. If they've been with the brand for a long time, they may have a personal stock of products that they don't use. At the very least, a friendly salesperson might have an old box of samples that can hold you over for a little bit. If your take-it-to-the-streets approach fails, turn to the experts. Estée Lauder Companies' Gone but Not Forgotten program could have the solution. The team will search high and low for any product discontinued in the last 24 months from one of its 18 participating beauty brands (including Clinique, Bumble and Bumble, and MAC). There's no guarantee, but if the team's super-sleuths find your favorites, you can purchase up to six products at a time. Even when you think all hope is lost, it's not. As long as you save a small amount of the discontinued cosmetic, there are services that can re-create your missing makeup shades. Send the specialists at Three Custom Colors a dime-size sample, and they can re-create any color with the same texture and coverage as the original in about three weeks. Didn't save the last of your discontinued shade? Check the archive. TCC has over 10,000 commonly requested replicas already logged in it. If it's a lipstick you're after, try Bite Beauty's Lip Lab in SoHo, New York. In just about seven minutes, a blending specialist will whip up the lip color of your dreams. They'll get the shade and finish just right for under $50. If you need your discontinued face makeup to be brought back to life, try Prescriptives. One of its PX Beauty Geniuses will hop on a video chat and work with you to create your perfect, custom-blended foundation or powder. Has a discontinued product ever sent you into frantic search mode? Let us know what you did in the comments. This story was originally published on July 7, 2014, and has been updated.